Hello and welcome to ESPN's coverage of third and final practice for the Russian Grand Prix at Sochi. This is the final session for the team's to perfect their set-up ahead of qualifying and the race - and important for them to gauge whether to favour a set-up which leans more towards qualifying, the race, or a bit of both. Some news for you this morning - Hulkenberg takes a five-place grid drop from wherever he qualifies today for a gearbox change. Hey Nate, Did Riccardo take a new engine yesterday as he said his let go during FP2? @Doull: Yes, but this was a 'Friday engine', one that was at the end of its lifespan and only due to be used yesterday anyway. @eastcoastatwork: Haha. They were early days! I maintain though, for racing itself I can't see a huge amount of overtaking opportunities. Nate, how's the nightlife in Sochi??? Chilton - running in the only Marussia today - the first man out on track. The session is green and we are underway. Initial installation laps are being completed here as usual. Hiya Nate, hope all is well. Are the red bulls as bad as they look this weekend and if so why this track? @Jay: it's a surprise to see them so far down the order, I think people at least expected them to be in the mix behind Mercedes. But let's see what they do today - Ricciardo, especially, has a habit of nailing his qualifying laps when he absolutely needs to. 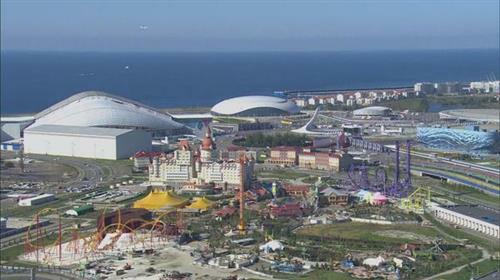 I'm a true amateur, I could have revealed nightlife in Sochi, if I were there!!! Vettel pulls into the pit lane but Red Bull tells him to stay out, late, and he pulls out of the pit entrance and returns to the track. Vergne has set the initial benchmark, a 1:42.600. Anything new from the rumor mill Nate? @RCC: Usual stuff. Alonso is going anywhere and everywhere, but nothing concrete or news-worthy to report really. @eastcoastatwork: Turn 2 and Turn 11, after long straights, should be good opportunities. They are both after DRS zones as well so that's where the drivers will be close enough to pass. Hamilton goes top with his first lap, a 1:42.030. They're all on the medium tyres, these tyres take a while to come into life - especially in the first sector. Hi Nate, what do you think about tyre degradation this weekend. Yesterday i heard that drivers may tray 1 stop strategy? @Kristiyan: Yes, that was interesting to here. The tyre degradation was so limited yesterday I think it caught a lot of people out. What we saw yesterday was qualifying simulations getting quicker for three or four laps over the course of the sessions - so this track is definitely unique in that regard. @Akash: I didn't see those quotes. One thing you have to guard against in F1 is the amount of quotes which are either a) just made up or b) translated badly from foreign papers. Translating foreign languages is no easy thing and small mistakes can change the meaning of quotes drastically. So I would wager he didn't say that. And indeed, Hamilton reclaims top spot, crossing in 1:40.725. He went purple in the first and third sectors. He's looked really on it this morning already. Kvyat turns in a nice lap and goes second on home soil, a 1:41.291. And also what about Rosberg`s setup. Yesterday he complained about some "creative" setup. What was his race sim speed compared to his team mate`s? @Kristiyan: It's hard to compare lap-to-lap but on the whole, they looked very similar. Hi Nate is it possible to see another duel between the mercedes drivers just at start? @essa: Absolutely, if they are on the front row together as I fully expect them to be, the run down to the first corner could be very juicy. Ricciardo the only man yet to complete a lap. Maldonado told: "We've got as problem with the car on the ERS. Need to get out once we've removed the fans. Only touch one thing at a time." how was force india's race pace yesterday? nate , what are the chances for force india ?